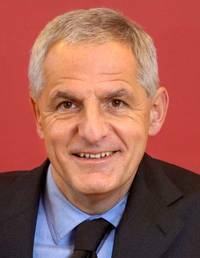 Joep Lange, a prominent HIV researcher and former president of the International AIDS Society, was one of the victims of Malaysia Airlines flight MH17. Lange was on his way to AIDS 2014, a global conference that will take place in Melbourne, Australia from July 20 to 25, at the time of death. He was traveling with his wife, who has also died in the crash. “Joep was absolutely committed to the development of affordable HIV treatments, particularly combination therapies, for use in resource-poor countries,” David Cooper, a friend and fellow researcher told the Australian academic news website The Conversation. “Another outstanding area of [Lange’s] contribution has been his pioneering role in exploring affordable and simple antiretroviral drug regimens for the prevention of mother-to-child transmission of HIV in resource-poor settings,” Cooper said. Other researchers and activists have died en route to the AIDS conference, though the death toll has not yet been confirmed. Australian newspapers are reporting that as many as 108 conference participants may have been on the plane. The IAS today expresses its sincere sadness at receiving news that a number of colleagues and friends en route to attend the 20th International AIDS Conference taking place in Melbourne, Australia, were on board the Malaysian Airlines MH17 flight that has crashed over Ukraine earlier today. We also at LASS, recognise this incredible loss of some some of the worlds finest scientific HIV activists and send our sympathies and heartfelt sorrow to the families of those who died yesterday on flight MH17. Posted on 18th July 2014 by newsafrica. This entry was posted in Africa, Health, HIV/AIDS, MH17 Crash, Russia-Ukraine Dispute and tagged Australia, IAS, International AIDS Society, Joep Lange, Malaysia Airlines, Melbourne, Ukraine, University of Amsterdam. Bookmark the permalink.